limbless (without arm and leg) Australian motivational speaker, Nick Vujicic. 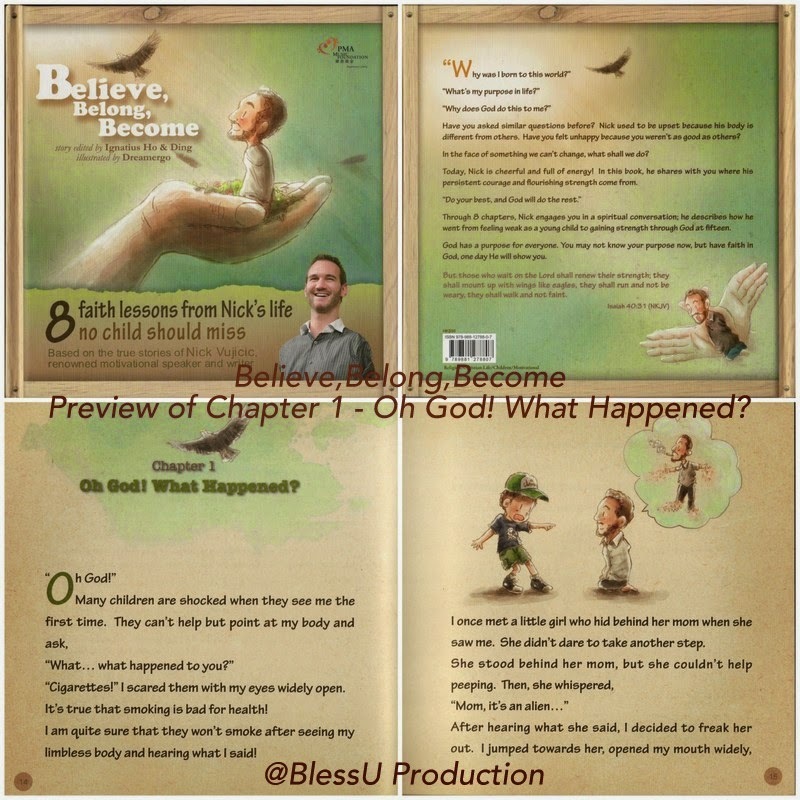 "8 Life Lessons from Nick" that will lift your spirit up. Based on the true story of Nick Vujicic. You definitely do not want your children to miss! **ALL benefits will be donated to Tsuchiura Megumi Church welfare service for the disabled (からしだね障がい者センター)& Japan Deaf Evangel Mission (日本ろう福音協会) for their translation works of the bible into Japanese sign language. Supported by Grace Bookstore @ Tsuchiura Megumi Church. Have you asked similar questions before? Nick used to be upset because his body is different from others. Have you felt unhappy because you weren’t as good as others? In the face of something we can’t change, what shall we do? Today, Nick is cheerful and full of energy! In this book, he shares with you where his persistent courage and flourishing strength come from. 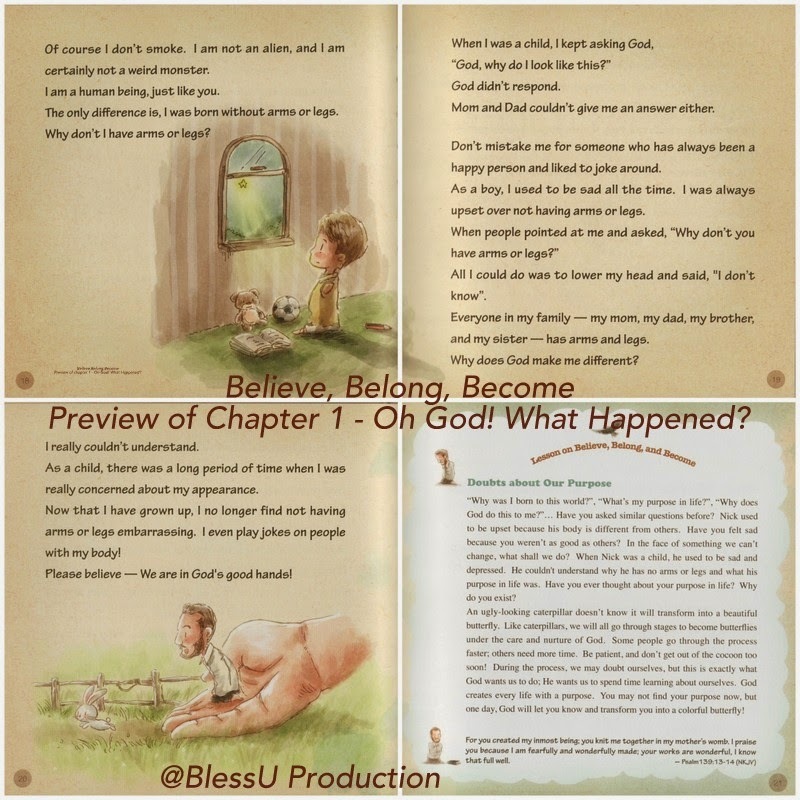 Through 8 chapters, Nick engages you in a spiritual conversation; he describes how he went from feeling weak as a young child to gaining strength through God at fifteen. God has a purpose for everyone. You may not know your purpose now, but have faith in God, one day He will show you.